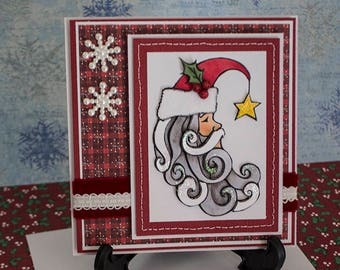 This card is created using rubber stamps and was colored with Copic markers. The inside is created to match the card, but blank inside to write your own note. If you would like anything stamped inside, please contact me. White envelope stamped to match the card. All cards are handmade by me in a smoke free home. Like me, my cards are not perfect, please do not expect them to be. I've tried to take good pictures of the ready made cards. If you have questions about them, please ask. Each card is hand stamped on the back with my "Limited Edition Art by Michelle" stamp. IMPORTANT! 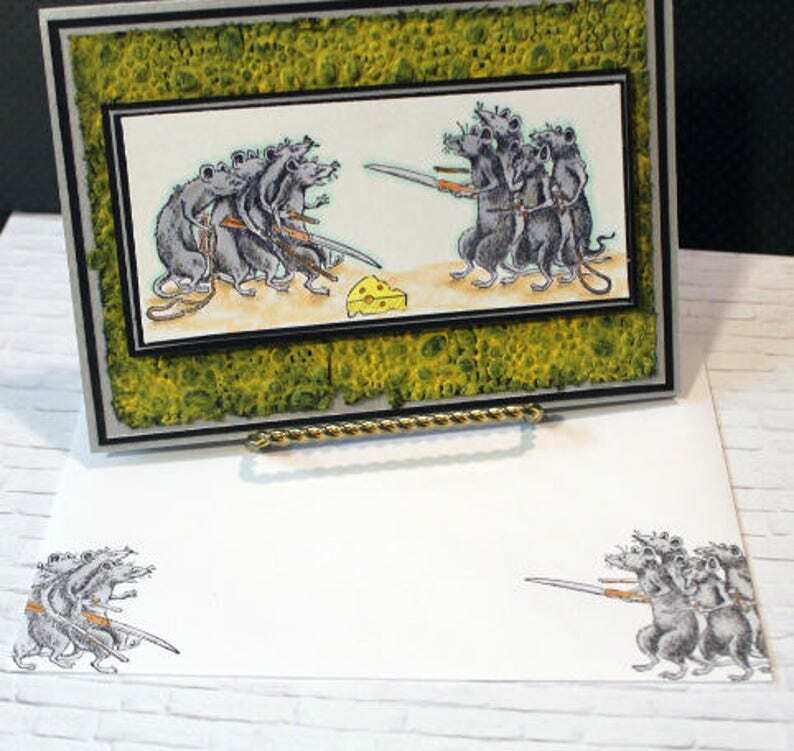 PLEASE NOTE: All cards comes with matching envelope with is slightly larger to accommodate the bulk, but please be aware that the varying thickness of each card because of the raised embellishments, etc. may not protect the card if mailed in a regular envelope. I suggest that you mail the card in a padded envelope or hand to the recipient directly. Some envelopes are slightly larger then cards to accommodate for embellishments.